H3O+ Heavy Duty model holds up to 725 lbs. 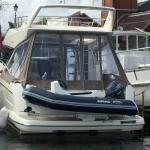 . . it's the Hottest Dinghy Davit on the market! 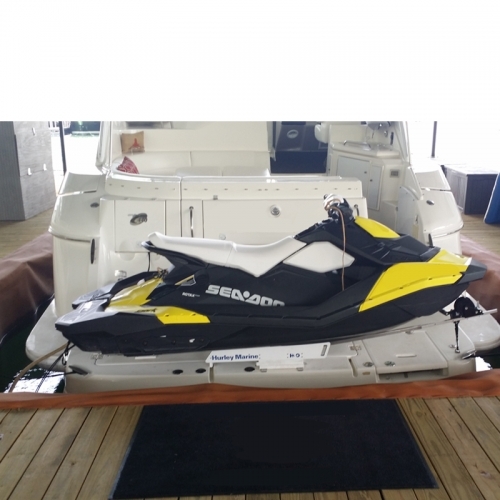 (comes with manual or optional electric winch system and optional extension mount for narrow swim platforms). The H3O+ Dinghy Davit has all the great features of it’s predecessor, the H3O, but is larger for heavier loads, includes inner linear bunks and has an adjustable and removable manual or optional electric winching system. 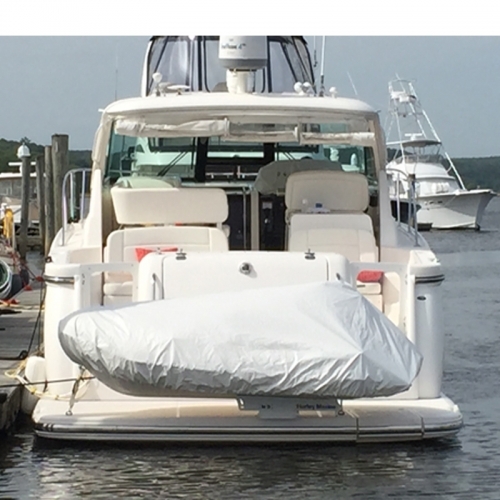 The davit system lets you winch your dinghy on for easy storage or just push-off for launching. 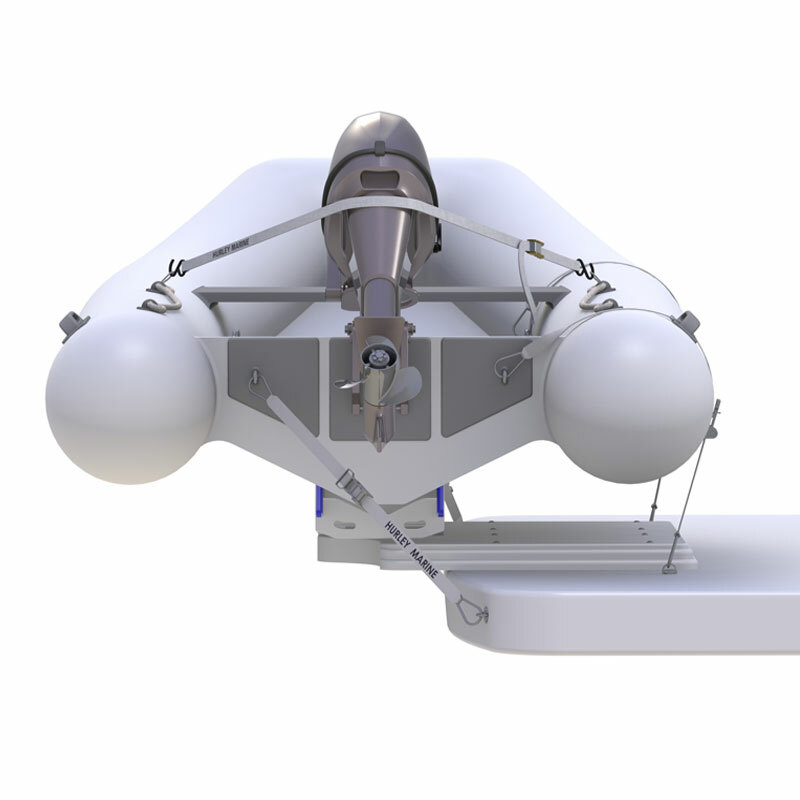 The H3O+ Dinghy Davit can muscle up to 725 pounds (328.85 kg) and longer loads up to 13′ (3.96m) with ease. 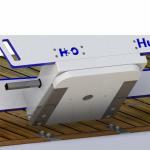 An extension mount option makes it functional for narrow depth swim platforms. 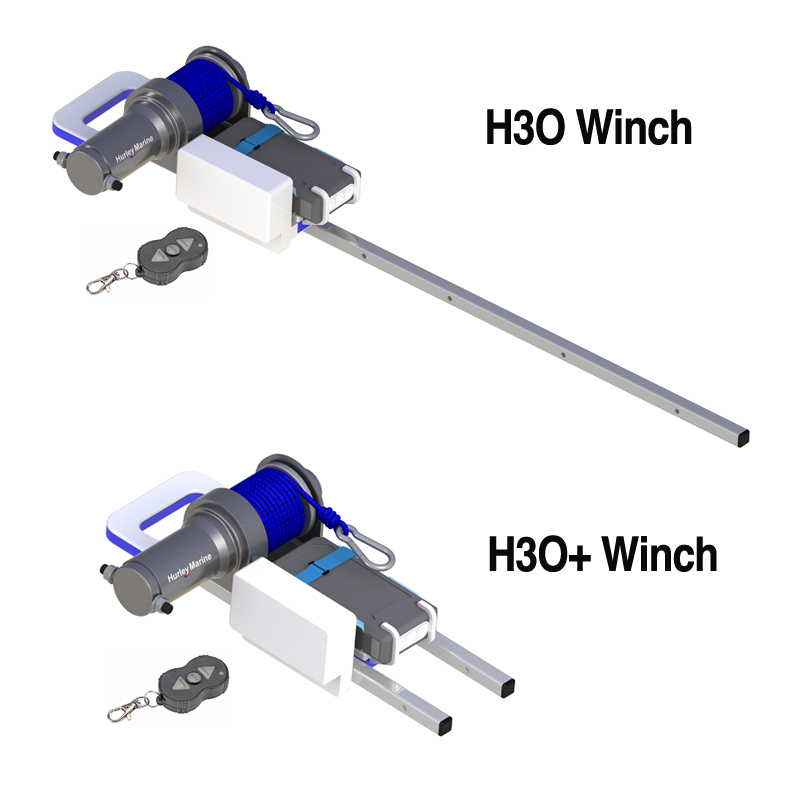 An 12v electric winch option is also available with this model and the H3O+ model. See options below. 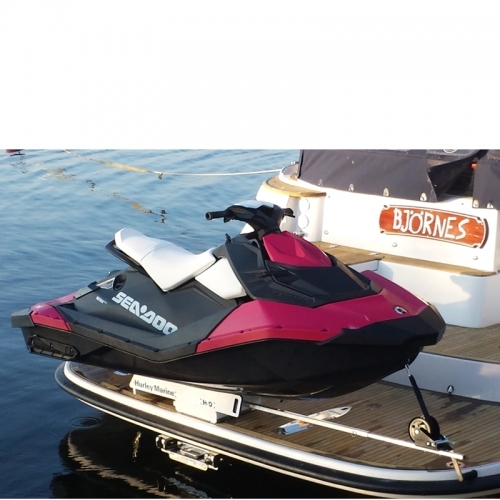 725 lb (329 kg) capacity - weight of dinghy, engine, fuel tank, fuel, and other accessories combined. See our H3O, H20 or the Traditonal davit systems for lighter dinghies. Larger frame for heavier tenders with adjustable inner bunk system for added support. 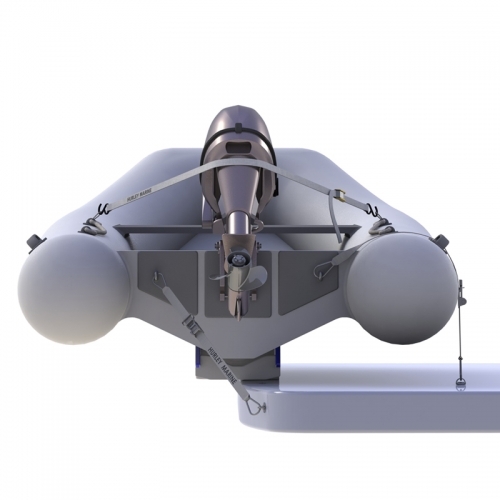 Offers an adjustable and removable manual winching arm system (6’ long). 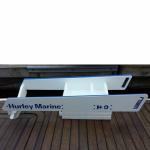 H30+ Dinghy Davit™ with inner bunks - Mounting bolts are not included - as swim platform thicknesses are all different. Total shipping weight 84 pounds. 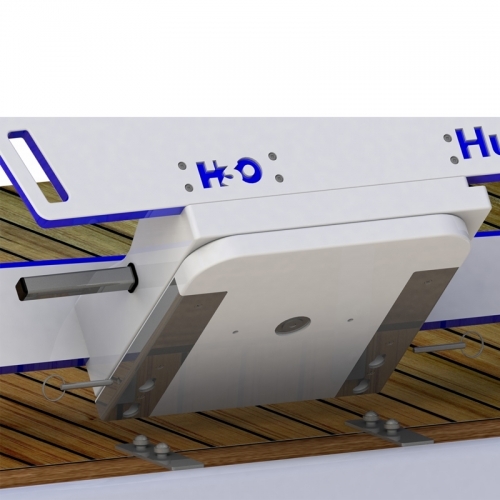 Optional H3O+ Davit Extension - extends your tenders keel overboard on your platform by 9″ (22.86 cm). 725 pound (329 kg) load limit. 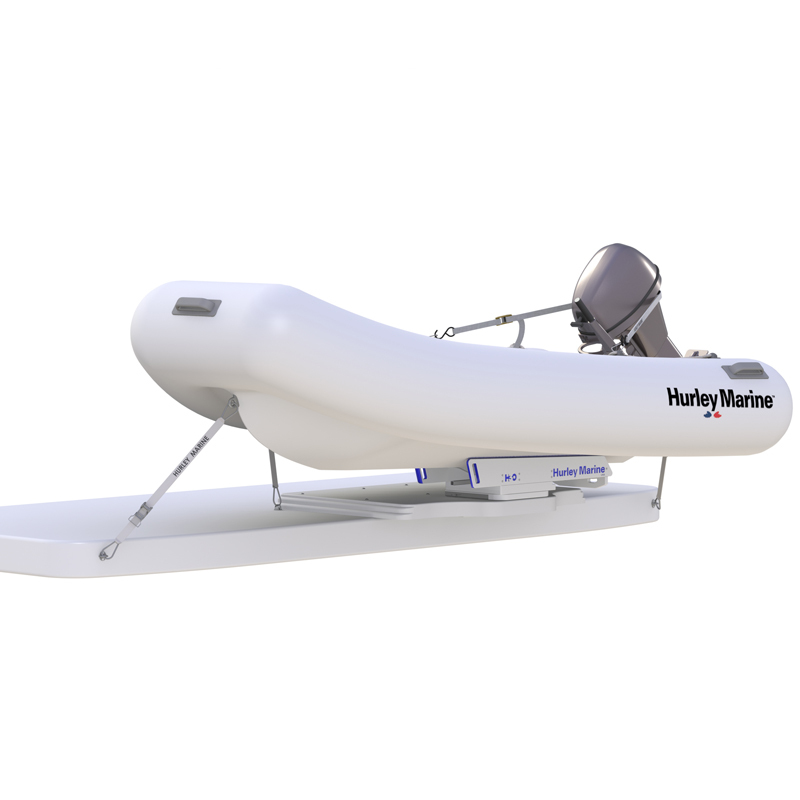 The H3O+ (Plus) will need to have the workable depth (transom to swim platform edge) of at least half of the beam of your dinghy plus 4", as well as other configurations of your vessel. Give us a call or email to let us help you figure it all out! The H3O+ heavy duty davit system is specifically designed to allow the safe retrieval and stowage of a rib dinghy / hard hulled tender (works great with the Sea-Doo Spark) using this linear bunk system. 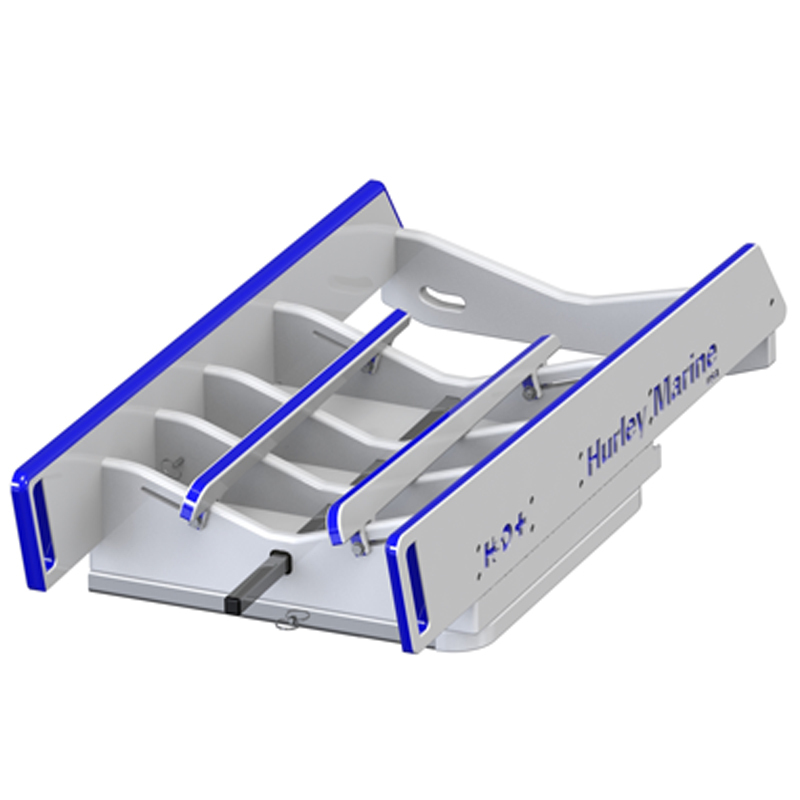 The stainless steel mounting system provides a quick release. Another special feature of the H3O+ dinghy davit is the adjustable and removable winching system - manual or optional electric winch. 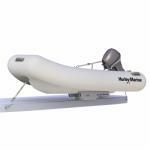 The electric stainless steel retrieval arm is 6' long, and is easliy removed for storage while underway. 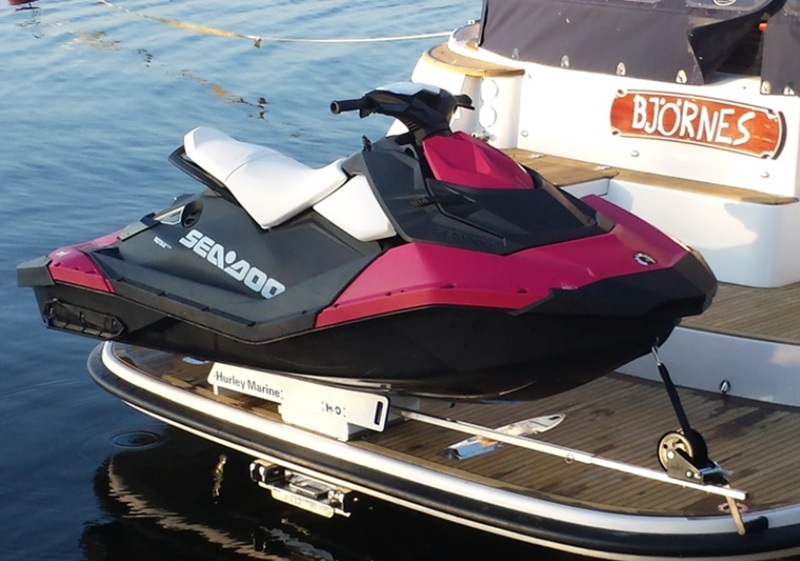 An optional electric winching system is available. An optional extension mount is also available. See info and video below. 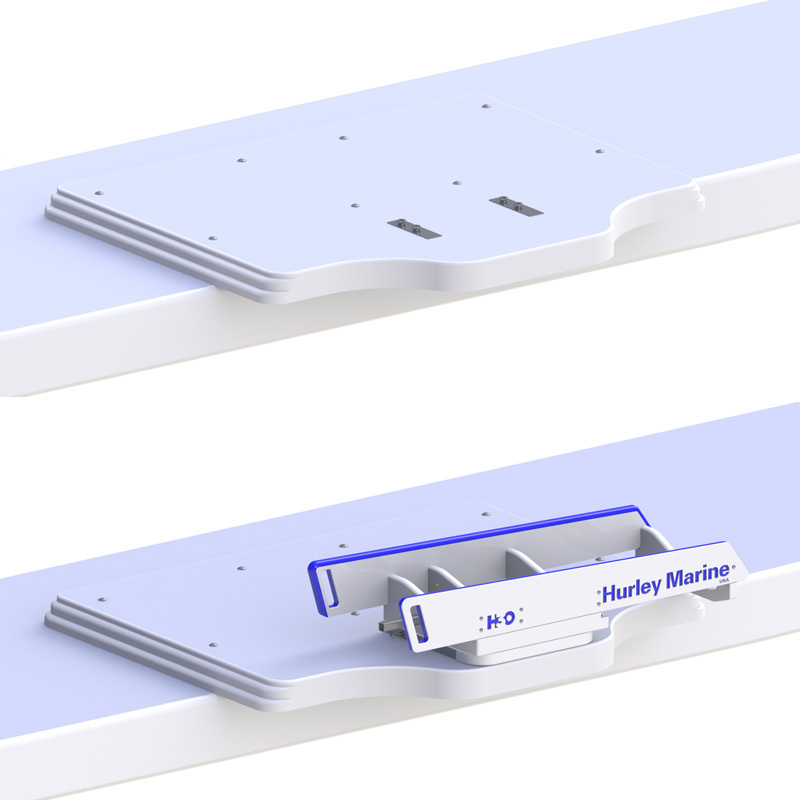 Each mount plate footprint requires only two bolts for the install and only stands ⅝” high leaving a clear deck for any activity, covers are also available. If you have a lip on the outer edge of your platform, let us know how high it is and we will ship you free shims for the install. 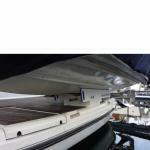 See our H3O, H20 or the Traditonal davit systems for lighter dinghies. 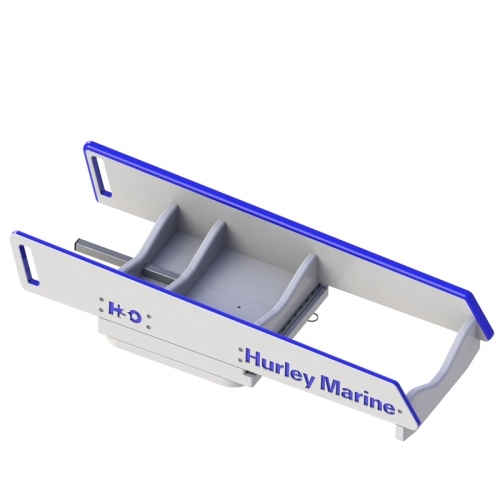 The H3O+ (Plus) will need to have the workable depth (transom to swim platform edge) of at least half of the beam of your dinghy - the "B" measurement below - as well as other configurations of your vessel. See below for a list of considerations. Give us a call or email to let us help you figure it all out!